FCC Chairman Ajit Pai responded to several members of Congress who have concerns about the agency’s small cells order. The changes that are being challenged in court by several municipalities limit how much localities can charge for small cell siting applications and place a limit on when decisions need to be made on siting applications. In his response to Sens. Chuck Schumer (D-NY), Kirsten Gillibrand (D-NY) and 36 House members, Pai said the Commission’s wireless infrastructure rules “have been a poor fit” for the 5G networks of the future. Further, the agency’s efforts to free up more spectrum for consumer use “will be meaningless” without the necessary physical infrastructure needed for 5G. 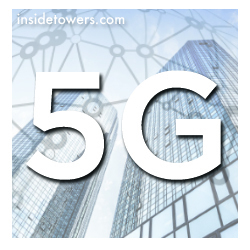 “That’s because 5G networks will not depend on a few large towers but on numerous small cell deployments—deployments that are only beginning,” wrote Pai. He applauded many municipalities that have reformed their laws to streamline small cell siting. The lawmakers wrote Pai of their concerns in December, saying that they support efforts to expedite 5G technology. But they’re concerned, “that efforts to reduce local control over critical aspects of the cell siting process, like the fees, undermines the ways in which local governments work with broadband service providers to implement wireless infrastructure,” wrote Schumer. He and the other lawmakers had urged Pai to withdraw the proposed order. The letters and Pai’s response from late December were released late last week. Comments? Email Us.